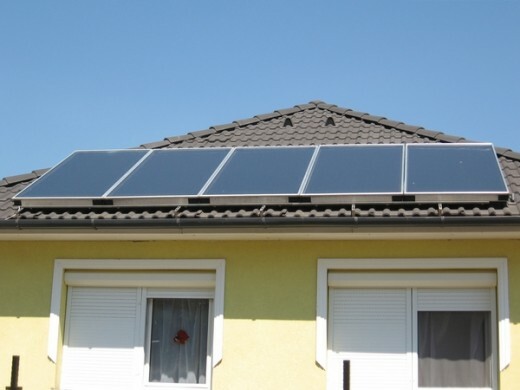 After you have built the Do It Yourself (DIY) solar panel, the next step is to install it on the roof of your house and start to connect all the components together. What type of wire should you use for the solar panel? The type of wire recommended is the BX wire which is really just 12 gauge wire with a wrapping of sturdy aluminum to protect it from the harsh external environment. BX wires are typically used in household wiring and it is very common in any hardware store. Using a 12 gauge wire is adequate for a small home solar power system. When wiring the solar panel, remember, the black wire is for the positive run of the solder Photovoltaic (PV) cells. The white wire will be negative and to be connected to the negative run. Finally, the green wire is the neutral and will be connected to the solar panel and acts at the grounding wire. To begin the wiring process, start by stripping about an inch off its end. Next, connect the positive and negative run wire from the solar panel to the respective wire on the BX wire. Use a pair of pliers on the ends and give it a good solid twist on the exposed copper wire. Finish it off by placing a wire nut on the connections. Here’s a tip. Be very careful when installing the solar panel. Even though it is just producing about 18 volt of electricity, it still can give you a nasty shock. The shock will not kill you but it might just unbalance your footing and cause you to fall off the roof! The final stage of installing your homemade solar panel is to connect the wire to the charge controller and let it run. Do you need some help installing the solar panel on the roof? If you do, check out John Peyton’s Solar Installation Video Course. The course comes with step by step instructional videos for installing solar panel on rooftop, ground and also pole mounting. With over 90 minutes of High Definition (HD) video instructions, you’ll be able to see how a professional installation is done and what steps are involved. ==> Click here to visit the Solar Installation Video Course now! It is more than saving energy. It is saving lives. the life of our only mother Earth. Because of this reason I decided to join your community and be the advocate here in my small town of Isabel, Leyte, Philippines. wire for + ( Positive) and BLACK for -(negative). I thought this was a World wide practice?? I feel that the solar energy technology is new and innovating. I feel that it represents a renewable and cost effective way of providing energy for the masses. Although the installation may be expensive the maintenance would be cheap and cost effective. I feel that this technology is useful in tropical and developed countries. The only caution worth mentioning is that users may be liable to electric shocks but if an insulator is worn during service times, the danger may be minimised. It is a precursor to titanium technology. With drop in prices of solar power systems, installation firms and companies that operate solar power systems on build, own and maintain basis are making huge profits sufficient for their future growth. These companies are able to offer solar power systems at reasonable prices, making it attractive to home owners who are keen to save money on electricity costs, not merely contributing to the eco-friendly surroundings. These companies are able to offer solar power systems at such attractive prices as federal and state subsidies cover partially the installation costs.